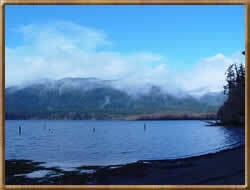 Washington offers good-to-excellent marine fishing and shellfishing along more than 500 miles of Pacific coast shoreline, and over 2,000 combined miles of Puget Sound, San Juan Islands, Strait of Juan de Fuca and Hood Canal shoreline. Sportfishing opportunities also abound in our 4,000 rivers and streams (stretching over 50,000 miles), more than 7,000 lakes (over 2,500 at alpine elevations) and 200+ reservoirs. Many lakes in the state are now open year-round, but the spring lake fishing “opener” on the last Saturday in April signals the traditional start of Washington's most intense fishing activity. 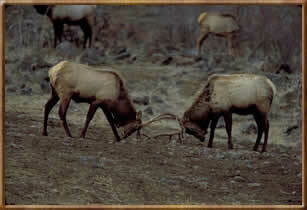 Check Washington Department of Fish and Wildlife (WDFW) for regulations. WDFW officials estimate that as many as 500,000 anglers are out looking for a bite that weekend alone. Other waters are managed in shorter seasons, often to protect nesting waterfowl or for other biological reasons. To meet fishing demand, WDFW hatcheries annually stock about 19 million trout and kokanee fry that will grow up in time for the spring opener. Another three million catchable-size trout are planted in lakes and streams in late winter through spring. For a list of lakes and streams that are planted, along with their scheduled allotments of fish, contact the WDFW and ask for a copy of the Hatchery Trout Stocking Plan. This information is also posted on the WDFW’s web site. In addition, a number of lakes throughout the state will receive “bonus” plants of sterile triploid rainbow trout that can grow to impressive size. Rivers and streams generally open June 1 after trout have had a chance to spawn and most anadromous salmonid smolts (juvenile salmon, steelhead, sea-run cutthroat and char) have migrated to salt water. Most rivers and streams are managed to produce wild trout, salmon and steelhead. Consequently, few are stocked with hatchery-reared trout. Open seasons for marine fish, anadromous fish and shellfish vary according to species, and sometimes are set or adjusted during the year. Some rules and seasons may seem complex or restrictive, but are necessary to protect fragile populations of animals (and in the case of shellfish, to protect people). Wilderness Adventures Press' Flyfishersguide.com gives you access to over 400 waters in over 20 states: a great source for detailed information on fishing in the U.S. America's leading publisher of flyfishing guides and detailed map books, and now you can get all of this vital information for your next fishing trip. Each water contains a detailed description of the water, hatch charts, recommend flies, detailed fishing maps showing river miles, access points, boat ramps, campgrounds, and more. Cover both the Hoh and Bogachiel rivers from mouths to headwaters. Includes public land, GPS for boat launches, river miles, GPS for campgrounds, fish run charts, recommended flies, and writeup. Washington's Sauk River from its headwater forks to the Skagit River. Includes GPS coordinates for access points, boat ramps, campgrounds, and shows public land, access roads, hiking trails and more! Also includes a fish-run chart, river description and recommended flies. Skagit River, from Canada Border to mouth. Includes GPS coordinates for all access points, campgrounds, boat ramps, etc. Shows public/private land, and includes fish-run chart, river description and recommended flies. Snoqualmie River Forks - Headwaters to Duval on the main stem. By Uncle Wes Malmberg. The Flyfisher's Guide to Washington's Lakes covers the fabled lakes of the Evergreen State like never before. Local legend "Uncle Wes" Malmberg guides anglers through the best and most consistent trout lakes, including depths, trolling routes, trolling tactics, fly lines, flies, and fish-holding areas on each water. Malmberg knows these lakes like the back of his hand, and has consistently caught more and bigger fish than other anglers using his perfected techniques. Reading this book will put more rainbow, brown and cutthroat trout on your line when fishing these lakes. Dozens of detailed maps show depths, access points, bays, and all other pertinent information. Also included are stocking records, directions to each fishery, fish species descriptions, and information regarding sporting goods stores, fly shops, accommodations, restaurants, and all the other information needed to plan your trip. Understanding and utilizing the tactics in this book will help anglers catch more fish in Washington's lakes. The Evergreen State offers an incredibly wide range of outdoor recreation. Turn to the Washington Road and Recreation Atlas for the latest, most accurate maps and reliable information to make the most of these opportunities. The large-scale Landscape Maps make this atlas perfect for either freeway travel or four-wheeling fun. Includes Game Management Units and public land ownership. Single map. Color shaded depth contours, Major routes and highways, Double-sided with detailed area insets, Area points-of-interest, Top-down satellite photo overlay, Tear resistant, 3D lake overview, Water resistant, Measures approximately 24" x 36", and (folds to small booklet size). Washington Fishing Charter - A fishing guide's fishing guide. No one knows Seattle fishing better. Captain Gary Krein's hybrid approach to tracking and finding game fish allows him to know exactly where to go on any given day.